Asking people to give up their favorite foods around the holidays is unrealistic, which is why I created this healthy hack handout filled with 5 secrets for feeling indulgent without going overboard. If you love luscious casseroles, steamy bowls of beautifully roasted vegetables, and juicy slices of turkey smothered in lots of gravy, you'll want to follow the tips in this freebie. 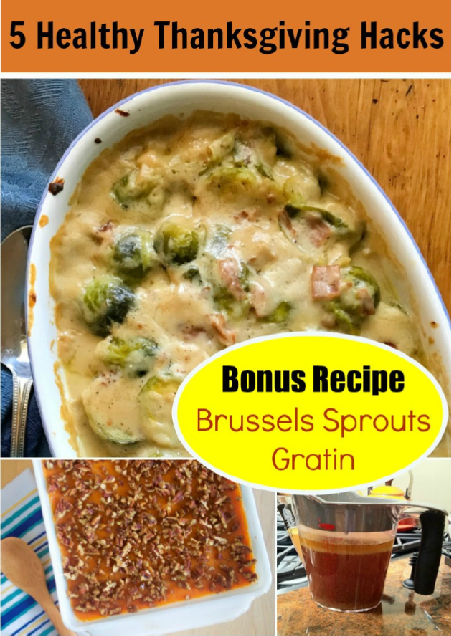 Bonus: Exclusive recipe for better-for-you Brussels Sprouts Gratin.